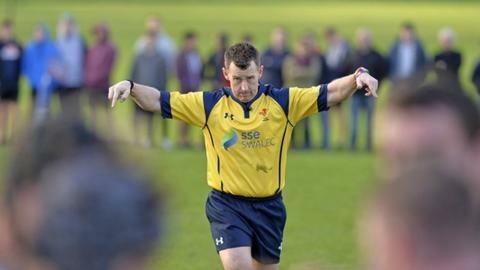 A week after officiating New Zealand's World Cup final win over Australia, Nigel Owens returned to action in Wales. He took charge of the Welsh National League Division One West match between Gowerton and Crymych. In Twickenham the All Blacks were 34-17 winners over Australia. At the Athletic Ground in Gowerton today, the home team emerged 28-18 victors over their west Wales opponents.